What’s going on? This can’t be happening...! Alessa and Maïta get the fright of their lives during a history lesson about Rembrandt, when they end up in the Golden Age, in an Amsterdam canal house. Their mobile phones no longer have service. They have no other choice than to participate in the daily activities of the 17th century. 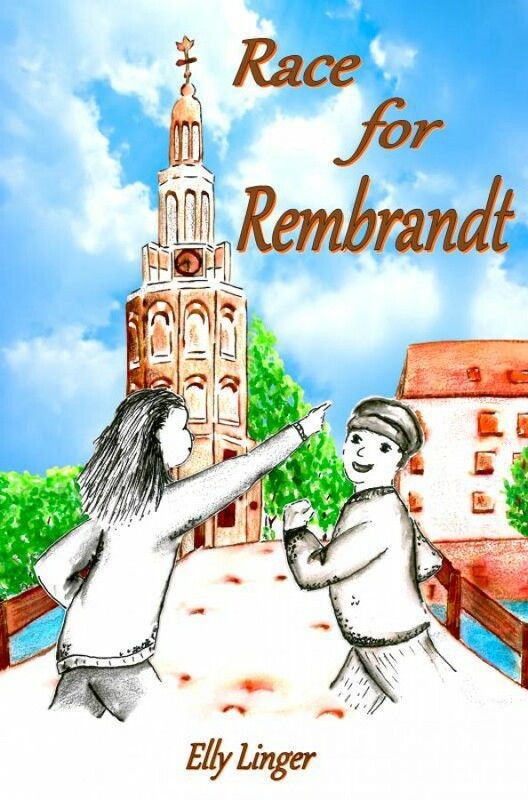 With the children of the Limehouse, they experience an exciting adventure around a lost etching by Rembrandt. In the tunnel of an underground church, it seems they have almost solved the theft, but will it be possible to get back to the 21th century? Author Elly Linger was the principal of the elementary school Trifolium when she saw this adventure happening before her eyes. Pupils of grade seven play a main role in this story.